A few years back, a prospective doctoral student sought out Sylvia Serfaty with some existential questions about the apparent uselessness of pure math. Serfaty, then newly decorated with the prestigious Henri Poincaré Prize, won him over simply by being honest and nice. “She was very warm and understanding and human,” said Thomas Leblé, now an instructor at the Courant Institute of Mathematical Sciences at New York University. “She made me feel that even if at times it might seem futile, at least it would be friendly. The intellectual and human adventure would be worth it.” For Serfaty, mathematics is about building scientific and human connections. But as Leblé recalled, Serfaty also emphasized that a mathematician has to find satisfaction in “weaving one’s own rug,” alluding to the patient, solitary work that comes first. Born and raised in Paris, Serfaty first became intrigued by mathematics in high school. Ultimately she gravitated toward physics problems, constructing mathematical tools to forecast what should happen in physical systems. For her doctoral research in the late-1990s, she focused on the Ginzburg-Landau equations, which describe superconductors and their vortices that turn like little whirlwinds. The problem she tackled was to determine when, where and how the vortices appear in the static (time-independent) ground state. 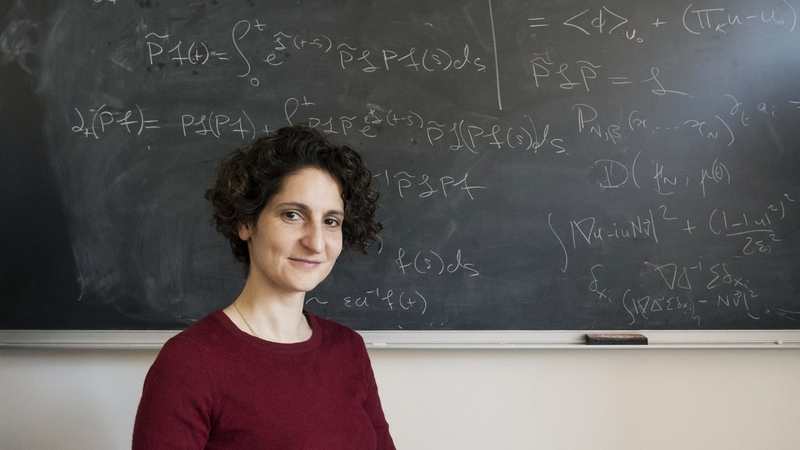 She solved this problem with increasing detail over the course of more than a decade, together with Étienne Sandier of the University of Paris-East, with whom she co-authored the book Vortices in the Magnetic Ginzburg-Landau Model. In 1998, Serfaty discovered an irresistibly puzzling problem about how these vortices evolve in time. She decided that this was the problem she really wanted to solve. Thinking about it initially, she got stuck and abandoned it, but now and then she circled back. 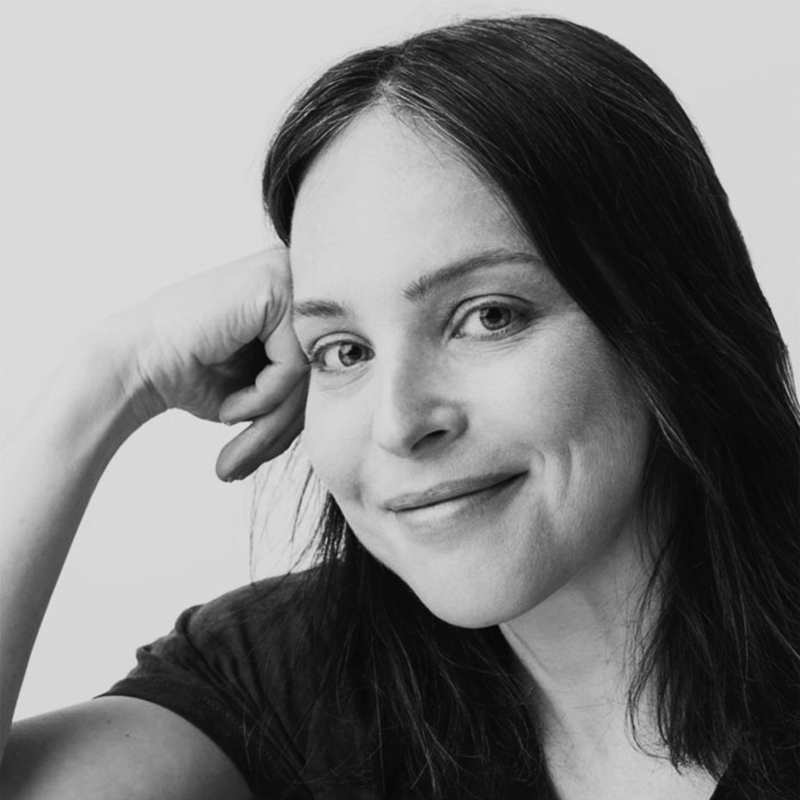 For years, with collaborators, she built tools that she hoped might eventually provide pathways to the desired destination. In 2015, after almost 18 years, she finally hit upon the right point of view and arrived at the solution. In 2004, at age 28, she won the European Mathematical Society prize for her work analyzing the Ginzburg-Landau model; this was followed by the Poincaré Prize in 2012. Last September, the piano-playing, bicycle-riding mother of two returned as a fulltime faculty member to the Courant Institute, where she had held various positions since 2001. By her count, she is one of five women among about 60 full-time faculty members in the math department, a ratio she figures is unlikely to balance itself out anytime soon. 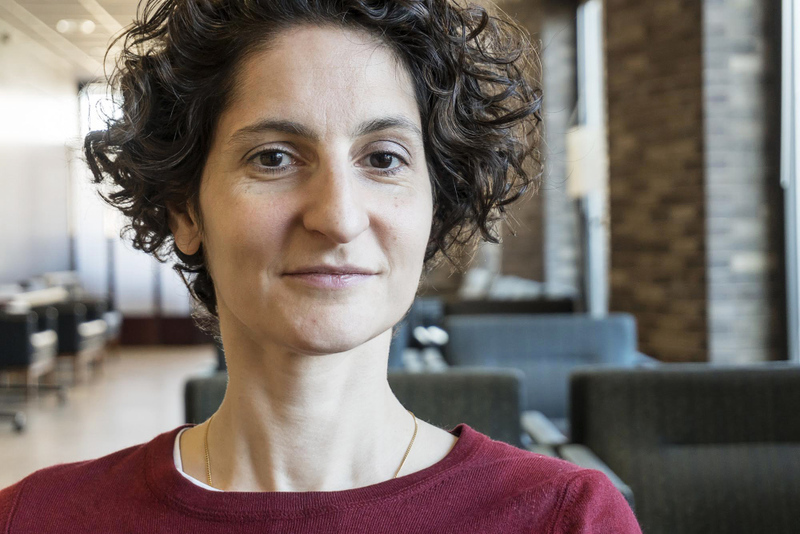 Quanta Magazine talked with Serfaty in January at the Courant Institute. An edited and condensed version of the conversation follows. 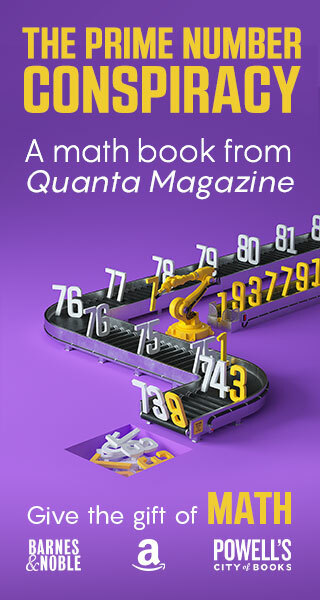 QUANTA MAGAZINE: When did you find mathematics? SYLVIA SERFATY: In high school, there was one episode that crystallized it for me: We had assignments, little problems to solve at home, and one of them seemed very difficult. I had been thinking about it and thinking about it, and wandering around trying to find a solution. And in the end I came up with a solution that was not the one that was expected — it was more general than the problem was calling for, making it more abstract. So when the teacher gave the solutions, I proposed mine as an alternative, and I think everybody was surprised, including the teacher herself. I was happy that I’d found a creative solution. I was a teenager, and a little bit idealistic. I wanted to have a creative impact, and research seemed like a beautiful profession. I knew I was not an artist. My dad is an architect and he’s really an artist, in the full sense of the word. I always compared myself to that image: the guy who has talent, has a gift. That played a role in building my self-perception of what I could do and what I wanted to achieve. So you don’t think of yourself as having a gift — you weren’t a prodigy. No. We do a disservice to the profession by giving this image of little geniuses and prodigies. These Hollywood movies about scientists can be somewhat counterproductive, too. They are telling children that there are geniuses out there that do really cool stuff, and kids may think, “Oh, that’s not me.” Maybe 5 percent of the profession fits that stereotype, but 95 percent doesn’t. 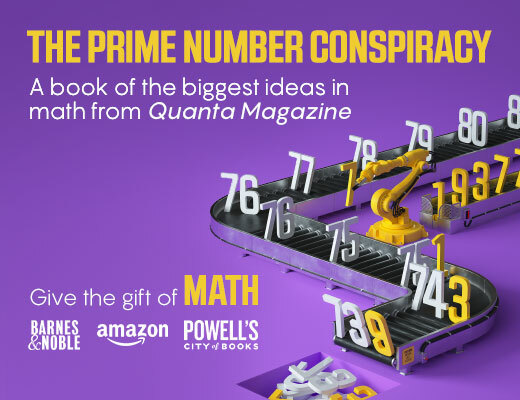 You don’t have to be among the 5 percent to do interesting math. For me, it took a lot of faith and believing in my little dream. My parents told me, “You can do anything, you should go for it” — my mother is a teacher and she always told me I was at the top of my cohort and that if I didn’t succeed, who will? My first university math teacher played a big role and really believed in my potential, and then as I pursued my studies, my intuition was confirmed that I really liked math — I liked the beauty of it, and I liked the challenge. Video: Sylvia Serfaty explains why you don’t have to be a genius to become a mathematician. So you have to be comfortable with frustration if you want to be a mathematician? That’s research. You enjoy solving a problem if you have difficulty solving it. The fun is in the struggle with a problem that resists. It’s the same kind of pleasure as with hiking: You hike uphill and it’s tough and you sweat, and at the end of the day the reward is the beautiful view. Solving a math problem is a bit like that, but you don’t always know where the path is and how far you are from the top. You have to be able to accept frustration, failure, your own limitations. Of course you have to be good enough; that’s a minimum requirement. But if you have enough ability, then you cultivate it and build on it, just as a musician plays scales and practices to get to a top level. How do you tackle a problem? One of the first pieces of advice I got as I was starting my Ph.D. was from Tristan Rivière (a previous student of my adviser, Fabrice Béthuel), who told me: People think that research in math is about these big ideas, but no, you really have to start from simple, stupid computations — start again like a student and redo everything yourself. I found that this is so true. A lot of good research actually starts from very simple things, elementary facts, basic bricks, from which you can build a big cathedral. Progress in math comes from understanding the model case, the simplest instance in which you encounter the problem. And often it is an easy computation; it’s just that no one had thought of looking at it this way. Do you cultivate that perspective, or does it come naturally? This is all I know how to do. I tell myself that there are always very bright people who have thought about these problems and made very beautiful and elaborate theories, and certainly I cannot always compete on that end. But let me try to rethink the problem almost from scratch with my own little basic understanding and knowledge and see where I go. Of course, I have built enough experience and intuition that I sort of pretend to be naive. In the end, I think a lot of mathematicians proceed this way, but maybe they don’t want to admit it, because they don’t want to appear simple-minded. There is a lot of ego in this profession, let’s be honest. Does the ego help or hinder mathematical ambition? We do math research because we like the problems, and we enjoy finding solutions, but I think maybe half of it is because we want to impress others. Would you do math if you were on a desert island and there was no one to admire your beautiful proof? We prove theorems because there is an audience to communicate it to. A lot of the motivation is presenting the work at the next conference and seeing what colleagues think. And then people appreciate it and provide positive feedback, and this feeds the motivation. And then you may get prizes, and if so, maybe you get even more prizes because you already have prizes. And you get published in good journals, and you keep track of how many papers you published and how many citations you got on MathSciNet, and you inevitably get in the habit of sometimes comparing yourself to your friends. You are constantly judged by your peers. This is a system that increases people’s productivity. It works very well to push people to publish and to work, because they want to maintain their ranking. But it also puts a lot of ego into it. And at some point I think it’s too much. We need to put more focus on the real scientific progress, rather than on the signs of wealth, so to speak. And I certainly think this aspect is not very female-friendly. There’s also the nerd stereotype — I don’t think of myself as a nerd. I don’t identify with that culture. And I don’t think that because I’m a mathematician I have to be a nerd. 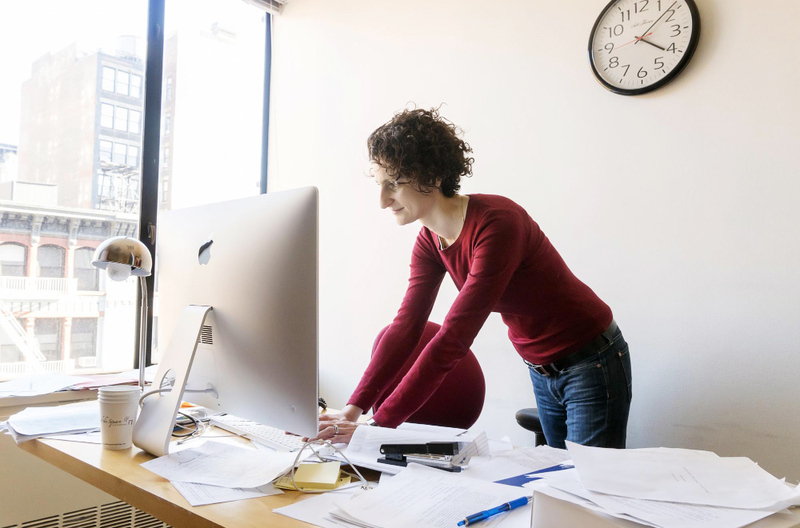 Would more women in the field help shift the balance? I’m not super-optimistic, in terms of women in the field. I don’t think it’s a problem that is going to naturally resolve itself. The numbers over the last 20 years are not a great improvement, sometimes even decreasing. The question is: Can you convince men that it would really be better for science and math if there were more women around? I’m not sure they are all convinced. Would it be better? Why? Would it make their life better, would it make the math better? I tend to think it would be better. It’s good to have a diversity of frames of mind. Two different mathematicians think in two slightly different ways, and women do tend to think a little bit differently. Math is not about everybody staring at a problem and trying to solve it. We don’t even know where the problems are. Some people decide they are going to explore over here, and some people explore over there. That’s why you need people with different points of view, to think of different perspectives and find different roads. In your own work over the past two decades, you’ve specialized in one area of mathematical physics, but this has led you in a variety of directions. It’s really beautiful to observe, as you progress in your mathematical maturity, how everything is somehow connected. There are so many things that are related, and you keep building connections in your intellectual landscape. With experience you develop a point of view that is pretty much unique to yourself — somebody else would come at it from a different angle. That’s what’s fruitful, and that’s how you can solve problems that maybe somebody smarter than you wouldn’t solve just because they don’t have the necessary perspective. And your approach has unexpectedly opened doors to other fields — how did that come about? One important question I had from the beginning was to understand the patterns of the vortices. Physicists knew from experiments that the vortices form triangular lattices, called Abrikosov lattices, and so the question was to prove why they form these patterns. This we never completely answered, but we have made progress. A paper we published in 2012 rigorously connected the Ginzburg-Landau problem of vortices with a crystallization problem for the first time. And this problem, as it turns out, arises in other areas of math, such as number theory and statistical mechanics and random matrices. What we proved was that the vortices in the superconductor behave like particles with what’s called a Coulomb interaction — essentially, the vortices act like electric charges and repel each other. You can think of the particles as people who don’t like each other but are forced to stay in the same room — where should they stand to minimize their repulsion to others? Was it difficult to cross over into a new area? It was a challenge, because I had to learn the basics of a new subject area and nobody knew me in that field. And initially there was some skepticism about our results. But arriving as newcomers allowed us to develop a new point of view because we weren’t burdened by any preconceived notions — ignorance is helpful in this instance. Some mathematicians, they start with something, they know how to do it, and then they create variants, like derivative products: You make the film and then you sell the T-shirts, and then you sell the mugs. I think the way that you can distinguish good mathematicians is that they are constantly moving further and forward and advancing onto new ground.